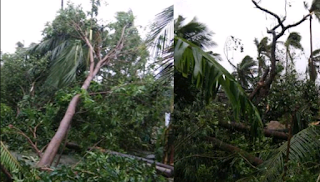 Nagapattinam/Chennai: Cyclone Gaja ripped through Nagapattinam early Friday uprooting trees and snapping power lines leaving a trail of destruction in coastal districts besides claiming 13 lives and flooding standing crops. The cyclonic storm crossed Tamil Nadu's coast between Nagapattinam and nearby Vedaranyam early hours Friday, bringing in heavy rains in the coastal regions, according to a weather bulletin. Winds gusting upto 120 kmph uprooted trees, snapped electric cables and blew off roofing-sheets. According to officials, ten men and three women died and 28 head of cattle perished in cyclone related incidents despite authorities evacuating as many as 81,948 people to 471 relief centres in Cuddalore, Nagapattinam, Ramanathapuram, Thanjavur, Pudukottai and Tiruvarur districts. The storm caused heavy damage to the 16th century Shrine Basilica at Velankanni in Nagapattinam district. Due to gusty winds, the rood cross on top of the church broke and fell, Church authorities said. The church is built in accordance with Gothic architecture. Authorities said the 75-ft tall stone statue of Jesus erected in front of the 'Morning Star Church' in the town, sustained structural damage. According to church officials, the hands of the statue have suffered damage. The roof of the Museum of Offerings in the town has also been damaged. Expressing grief over the deaths, Chief Minister K Palaniswami sanctioned a solatium of Rs 10 lakh to the kin of those who died and Rs 25,000-Rs one lakh for the injured. The chief minister said he has ordered officials to immediately determine the extent of loss and damage in respect of crops, fishing boats, houses, and cattle due to the cyclone. "I have ordered relief efforts on a war-footing in the affected districts," he said, adding minsters were carrying out work in districts assigned to them. Besides loss of lives, 1471 huts were partially damaged and 216 fully destroyed. A total of 4987 trees got uprooted in these districts. Farmers' leader P R Pandian told PTI lakhs of coconut trees, plantain and acres of paddy crop have been seriously affected due to the gusty winds." He demanded adequate compensation for the farmers. State owned Tamil Nadu Generation and Distribution Corporation's field assets including 13,025 electricity poles, 13 local distribution transformers, and 1,000 cables were damaged in rain-related incidents. The heavy rain in districts, including Tiruvarur and Thanjavur and widespread rain in other parts, has come as a boon to the state which was staring at a rainfall deficit during the monsoon season which commenced October 1. "Now the deficit stands at 23 per cent. The rainfall ranged between the lowest of 1 cm in several towns to the highest of 17 cm in Tiruvarur district followed by 16 cm in Thanjavur," a Met official said. According to weather office sources, six cm rain was reported in Nagapattinam district which bore the brunt of the storm, while Cuddalore district reported rainfall between nine-12 cm. 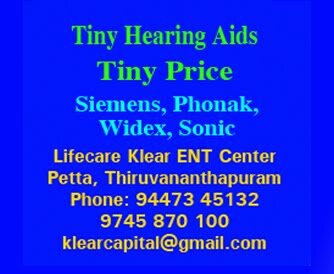 "The system has now become a depression and has entered land area of neighbouring Kerala through Dindigul and Theni districts," the sources said. The chief minister said 216 medical camps have been organised to check spread of epidemics in storm-hit regions. As many as 7,000 electricity poles had been dispatched to vulnerable districts in advance for replacement, he said, adding steps have been taken on a war-footing to restore power supply. Adequate precautionary measures were taken by authorities to tackle the situation, he said. Power supply has been suspended since Thursday evening in Nagapattinam district. Traffic remains disrupted in most parts of Nagapattinam and Karaikal districts. A holiday has been declared for educational institutions in regions including Nagapattinam and Tiruvarur districts. Revenue Minister R B Udaya Kumar told reporters that the government has tackled the cyclone situation successfully. "This was a challenging task...we are confident that we have faced it safely 100 per cent," he said, adding all post-cyclone tasks like cleaning up storm affected areas has begun. Heavy rains and strong winds lashed neighbouring Puducherry as well and Chief Minister V Narayanasamy reviewed the situation. District Collector Vijay Abhijit Choudhury said a 70-year-old woman in Vanrapet village in the town limits sustained head injuries when the wall of a house collapsed last night under the impact of the rain. 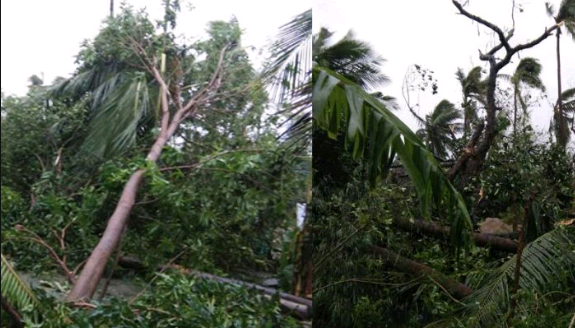 The collector said reports of trees being uprooted under the impact of the storm were received from different areas. The government had opened 190 relief centres. All schools and colleges including private institutions remained closed Friday for the second day. Karaikal Collector R Kesavan said over 6,000 people from 11 coastal hamlets in the district were staying in relief camps in the district.